While the lifestyle of location independent workers and remote employees may come across as a carefree schedule filled with endless travel plans, there is nothing “carefree” regarding the security and safety of remote work. 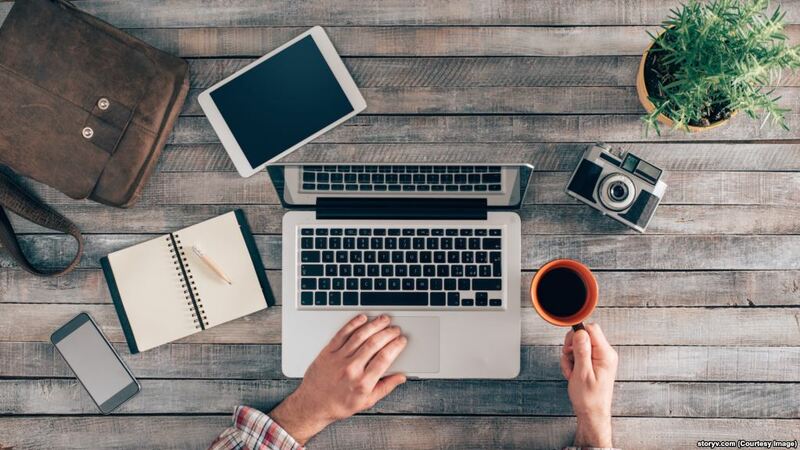 Remote working is different than office jobs that are perhaps considered more traditional; however, there is a detailed set of security measures that must be taken in various areas for remote employees to operate successfully. This security includes the physical safety of the location independent worker during their travels, the security of electronic devices and data used daily, as well as ensuring that the worker establishes an ergonomic workstation. This first tip refers to protecting the electronic devices from being stolen, as well as protecting the data that the remote workers are working with. First and foremost, remote employees should ensure that their laptops, tablets, mobile devices, and all other work-related devices are with them at all times. It is surprising how many individuals think it is fine to simply leave their laptop at their café table for “just a moment” while they go to grab a straw, or while they “quickly” run to the bathroom. There are those who think that they are taking the necessary precautions by leaving their devises in their locked cars, for example. This is a mistake that could result in significant loss of a remote worker’s highly valued electronics. By keeping your devices with you when you are at a café or insuring it is safely locked away where strangers will not see it, you will eliminate the possibility of them “mysteriously” disappearing. Perhaps the most difficult point for remote workers to follow is to use caution when logged on to public Wi-Fi. It is no secret that a remote worker’s usual “happy place” is any quaint local coffee shop. However, employees should use their best judgment when operating remotely in regard to the security of public Wi-Fi, especially when working with critical confidential files and client information. Perhaps remote workers could consider saving their confidential work for when they are in their hotel, or while using any Wi-Fi that is not open and public. An essential for all remote workers, and one that many may not even realize is essential, is to have an ergonomic workplace. In reference to a workplace, ergonomics means for employees to have a comfortable environment while working. A significant difference in a remote worker’s physical comfort can be made when altering minor details, such as the positioning of the equipment on the desk, the height of a chair, the distance between the employee and the monitor, and more. Posture is a crucial factor in ergonomics in the workplace, and one that many professional computer users will claim is essential to achieving the best work results. In fact, there are co-working spaces all over the world offering ergonomic workplaces that are also aesthetically pleasing. In Paris, France, for example, WeWork Chams-Elysees provides an area that has its chairs facing outwards with views across the city. This space also has no power outlets, so as to encourage remote workers to take a break during their work. Make sure that you research the best ways to establish an ergonomic workplace during your travels, and your back will thank you later! Of the utmost importance, is for remote workers to enjoy safe travels. Because location independent workers have the luxury and freedom to work anywhere in the world, this may often result in them traveling solo. While traveling by oneself is a fantastic way to gain new perspective and have quality reflection time, there are definitely precautions that should be taken. As a tourist, it is easy to stick out if you appear to be aimlessly wandering and snapping photos of every building you come across. This is not to suggest that you cannot take photos and enjoy a walk without a set destination in mind. However, remote workers should make an attempt to act as though they have a sense of where they are when traveling alone. People are far less likely to take advantage of someone who appears confident and knowledgeable of their surroundings. Another critical consideration for remote workers to research before embarking on their travels is a reliable travel medical insurance plan for any health or travel-related issues that may arise. With the possibility of lost luggage, illnesses, injury, or natural disasters, it is well-worth it for remote workers to take their insurance plan seriously during their travels. Learn more about a travel medical insurance plan with SafetyWing. By taking the necessary measures to ensure that these security tips are met, remote workers will find it far easier to enjoy the freedom of their lifestyles, while knowing that both they and their work assets are protected. The recommendations and advice provided in this blog regarding security for remote workers are not formal recommendations made by Workew.com, but rather, best practices advised from our partner. Great read. These are practices all location independent workers should adhere to.